I absolutely love coffee. There is something so warming and cosy about drinking it, and while the caffeine hit is not of interest at all, I do sometimes find myself thinking about that warmness. I used to drink coffee daily, sometimes even more than once a day, but when I changed my diet, I decided to completely cut out coffee too. I don’t think it really agreed with my stomach and in a bid to rid my body of anything deemed processed or ‘bad’, the coffee was out and green juices were in. More recently, I have relaxed my attitude towards coffee a little, allowing myself to have a cup when I really feel like it. While I am careful not to slip into a ritualistic approach, it has been a welcome addition to my diet again. While in India, I am going back to my coffee-less ways, but for those of you that do drink coffee at home, I wanted to share this smoothie recipe with you to enjoy in my absence! 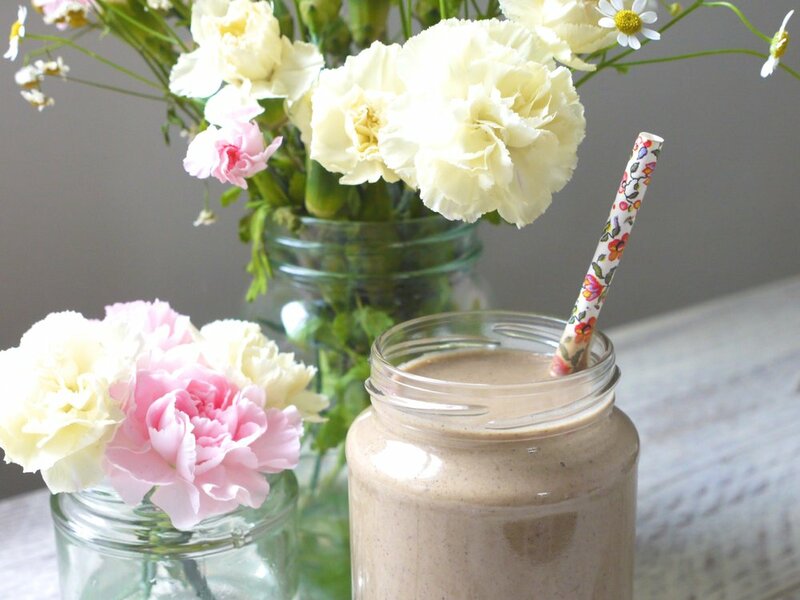 This smoothie is the perfect thing to enjoy pre or post workout. I was intrigued by all the coffee-mylks that I keep seeing in juice bars so wanted to see if I could come up with something along those lines. I wanted to find a more interesting way to use some vanilla protein powder that I had in my cupboard and this smoothie was the result of a little experimentation. For those of you that don’t drink coffee for whatever reason, you can opt for additional plant milk in stead – it still tastes good without the coffee. If you don’t have vanilla protein, you can use hemp protein powder and add vanilla bean powder to taste. Add all the ingredients into a blender and whizz for about 2 minutes until smooth. If it is too thick, add a little extra plant milk (or coffee).